Apple is reportedly preparing to release a new, cheaper MacBook Air in the second quarter of 2018, according to a report in 9to5Mac which quotes a note published by reliable Apple analyst Ming-Chi Kuo. Apple’s cheapest MacBooks, the MacBook Air line, currently starts at $US999 (£722). 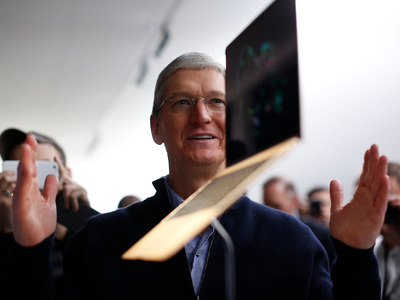 But Kuo reportedly said that he expects Apple to reduce the starting price of the MacBook Air line with the new model. It isn’t clear whether the rumoured new MacBook Air will feature a major redesign, or will look similar to existing models but with upgraded internal hardware. Apple isn’t just focusing on making its Macs less expensive, though. The company released a more expensive version of its iMac desktop computer in December. The new $US5,000 (£3,614) iMac Pro is over twice as expensive as the previous most expensive iMac, which sold for $US2,299 (£1,661). 9to5Mac pointed out that Kuo’s analyst note follows a report by Digitimes in January which claimed that a new MacBook Air was in development. That report, however, said that the new MacBook Air would be released in the second half of 2018.